The biggest story continues to be what is happening with the long leading indicators. This week several moved in opposing directions. Since my compensation is tied to the number of readers, by all means indulge your curiosity! You'll have to register, but registration is free. As we close out this week devoted to jobs and wages, with the consumer price index having been reported yesterday, let's take a look at real wages. Real wages have only grown 0.4% in the last 2 years and 4 months. Another reason for the growth, at least this year, which I'm unable to graph, is that on net there was about $4 Billion per month cut in withheld taxes, much and perhaps most of which is being spent. Basically, the improvement in the employment rate, plus the growth in average hours worked, is making up for the stagnation in real hourly wages. Why? A basic analysis of the business cycle supplies an answer. To quickly refresh, long leading indicators tell us about the direction of the economy more than 1 year out; short leading indicators by less than 1 year. Payrolls, along with industrial production, are the premiere coincident indicators. So let's see where we have been over the last few years. 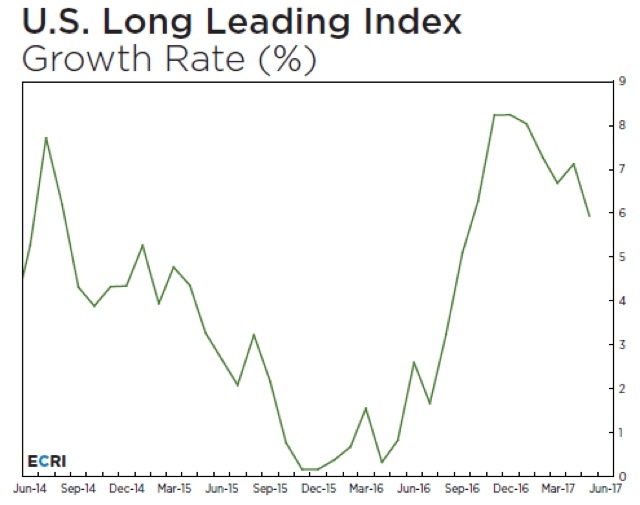 Note that growth in the index nearly stalled in early 2016, before rising considerably later that year, then declining in early 2017. In other words, the index forecast a stalling economy into early 2017, with growth picking up later in 2017 into early 2018. We can see their steep slowdown beginning in 2014 and continuing into early 2016, and an upturn in late 2016 through early 2017 before sharply decelerating again. Note that YoY GDP growth started to decline one year after the LLI turned down, bottom six months after the trough in the LLI, and accelerated through 2017. Thus, for example, in my forecast for 2017, which I published in January of the year, I called for the economy to be quite strong in the first half, and continued positivity in the second half. Following a normal pattern, strength in the long leading indicators should transmit into strength in short leading indicators as we get towards one year later. So did we see an upturn in short leading indicators in 2017? We sure did. After largely stalling in 2016, they turned up somewhat in early 2017 before really taking off later in 2017 into early this year. Note how it turned up sharply going into 2017 and remained that way throughout the year. I don't mean to suggest that the reason for strong job growth this year is mono-causal. I suspect that hurricane and California fire repairs played an important role in new production and spending during the last few months of 2017. The turnaround in energy production has also helped. And the tax cut, while very inefficient -- because it is so lopsided in favor of the wealthy -- has shown up in decreased withholding tax receipts this year, which presumably means that amount of money is available to consumers to spend. So, what's ahead? Well, if you go back and look, the long leading indicators almost all hit zero at the end of last year, before a weak rebound in the first quarter of this year. 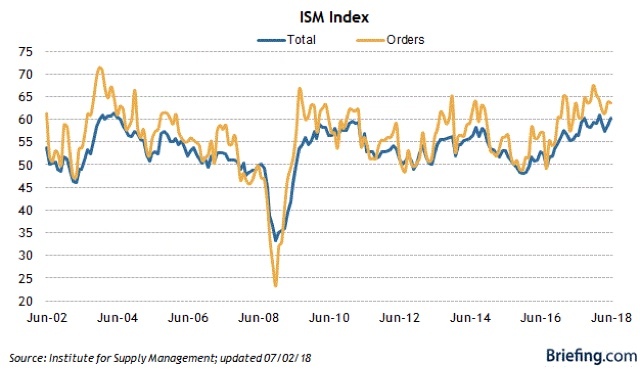 The stock market has gone basically sideways for six months, initial claims for the last few, and manufacturing new orders, while positive, are not so strong as before. Thus, back in January my forecast was for weaker, but positive, growth in the second half of this year compared with the first half. For what it's worth, consistent with my view, at the time ECRI's LLI was publicly published late last year, ECRI's Chairman, Lakshman Achuthan, indicated that they portended a global slowdown. And that means I expect job growth to slow back down later this year. In short, pretty much everything good that could happen during a positive labor market, happened. So let's update where the report might tell us we are in the cycle. In the 2000s business cycle, both turned down well in advance of the recession. That isn't the case now. Hires had been within a 2% range since last May, and had not made a new high since last October, making YoY comparisons more challenging as of this month, but both hires and separations jumped considerably (interestingly, just like May last year, which makes me wonder if there is a little unresolved seasonality). This in no way resembles a late cycle report from the 2000s cycle. Nevertheless, the large majority of overall economic data suggests we are late in the cycle. Thus, my anticipation remains that we will see weaker, and even negative YoY readings on hiring in particular at some point in the second half of this year. We'll see. I've devoted a lot of time and thought, and typed a lot of pixels of commentary, about wage growth in the last few years. Some of it has panned out: based on past expansions,I expected YoY wage growth to bottom consistent with an unemployment rate of about 6%. A little later I refined that to an underemployment rate of 9%. In retrospect that is indeed about when wage growth bottomed out in this expansion. But even three years ago, I expected wage growth to rather quickly reach 3% YoY once that level of underemployment was breached to the downside. Obviously, that didn't happen. Rather than ignore the call that didn't pan out, I have tried to understand why. One important part is the changed behavioral set-points of both employers and employees. Ever since the 1980s, when unions were effectively broken, employers have found that they can get away with paying less and less to maintain employees. Those employees learned to expect less and less in the way of raises from employers. During each successive expansion, employers have tightened the screws more and more, until by now giving raises has become a taboo, where employers would rather sacrifice at the least short term profits from more production than give in to the necessity of raising pay. But if the taboo against raising wages is a secularly increasing phenomenon, on another level I think we can still tease out a lot of information in terms of the order and direction of employment and wage trends. 1. the unemployment rate peaks, and begins to decline. 3. nominal wage growth bottoms, and begins to rise. 4. If labor force participation grows too quickly, wage growth languishes. In other words, as a recession deepens, not only are more people laid off, but an increasing number of people leave the labor force entirely. At some point, as more of the people remaining in the labor force get work, people who have been on the sidelines are drawn back into the labor force and look for work. As even a bigger share of this expanded pool of potential workers find employment, the wages needed to entice them to a job begin to rise. But sometimes the increased number of those entering the workforce causes the pool of available workers for hire to become temporarily saturated, and in that case the pressure for increased wage growth ebbs. Now let me lay out the supporting graphs. All of these date from 1982 to the present. Thus, we have our progression: decreasing unemployment rate --> rising prime age participation --> increased wage growth. Note that the last several years have shown the sharpest growth in prime age labor force participation since the 1980s, except for 1996. We can see that when there is a surge in labor force participation, wage growth tends to wane. In the 1980s, when there was persistent growth in participation YoY over more than 0.3%, wages actually declined. Prime age labor force participation has grown by more than 0.3% YoY in 22 of the last 24 months. While there has been some acceleration in wage growth during the first part of this year, it has still not hit so much as 3%. To put my whole theory together, I think employers increasingly developing a the behavior of a taboo against raising wages ("wages are also sticky to the upside" in econospeak) is a powerful explanation of the decades'-long secular trend; while the pattern I have set forth in this post is an equally good hypothesis to explain the within-cycle behavior of labor force participation and wages over the last 35 years. I was going to put up a short piece about wages this morning, but it has turned into a longer, more comprehensive piece, so in the meantime, here are some teasers to ponder. Note that 6 of the 8 reasons have to do with the economy, and 4 of those specifically have to do with the costs of child care. I'll flesh this out in the more comprehensive post. Pretend for a moment that you are a political strategist. Your party is the party in power. The opposition has been enraged since the moment of your standard-bearer's election. In the special and off-year elections since, they have been showing up in unprecedented droves for offices up and down the ticket, from Governor and US Senator to state representative and local council. The mid-term election is bearing down, and you know very well that midterm elections are fundamentally referendums on how the party in power is doing. The odds look overwhelming that the opposition turnout tsunami, at least, is likely to continue. 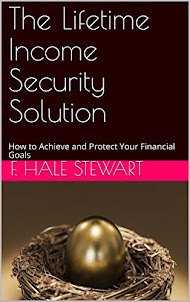 As a strategist, what of the following courses of action do you recommend? Whether or not you choose to do (c), it's pretty obvious that (b) is the correct answer, isn't it? Opposition supporters already hate your with the heat of 1000 suns. So what if you repeatedly do such cruel and outrageous things that they become incandescent with rage. They're going to turn up anyway, regardless of what you do. Note how enervated Obama's base was, with only about 27% +/-2% during that time. 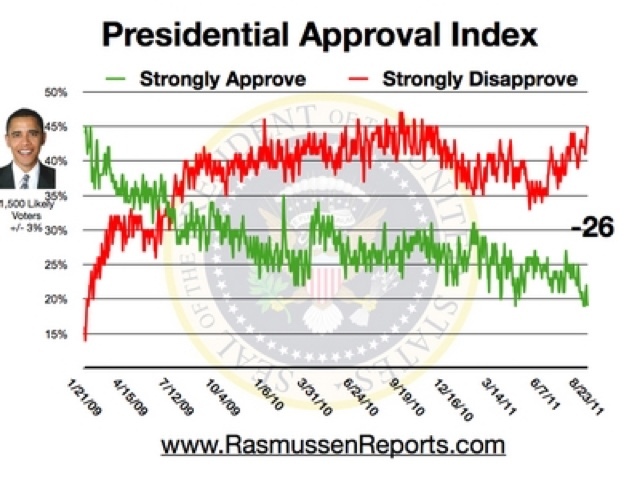 Note that the level of strong disapproval is about the same as for Obama, but the level of strong approval has been inching up, and is currently at about 33% +/-2%. Once you understand this simple strategy, all of the horrible things that have been done by Trump and the GOP in the last few months make perfect sense. The more mean, cruel, divisive, bloody fights that are boiling over this November, the more the GOP base will turn up. Since the Democrats' base is going to turn up anyway, this gives you your best chance to preserve your majorities.